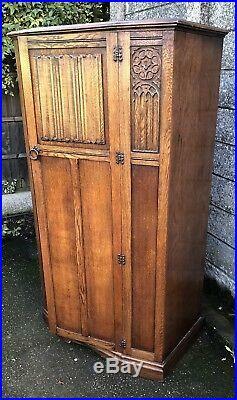 FINE ARTS & CRAFTS OAK 2 DOOR FITTED HALL/WARDROBE. 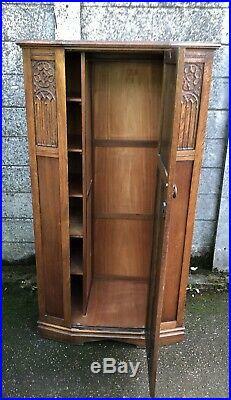 This is a very good arts & crafts hall wardrobe. 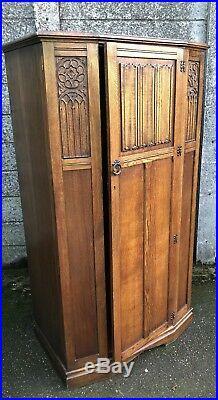 The wardrobe is made of oak and is in very good condition with no splits, loose joints, woodworm or noticeable marks. 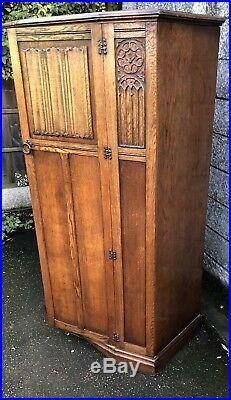 The wardrobe has a carved oak single door is lockable with key supplied. 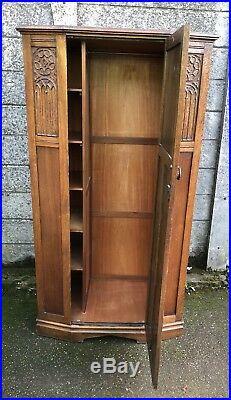 The inside of the wardrobe has a hanging rail and has a large amount of storage area. There is also a fitted shelved section. This wardrobe will not dismantle. We date this wardrobe betwen 1920 and 1940. 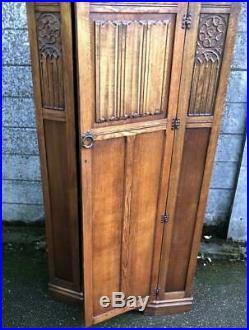 Overall this is a very good Arts & crafts wardrobe that offers a good amount of storage space and is in very good order throughout. 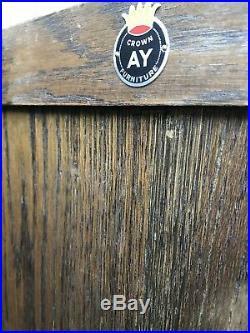 The dimensions are as follows:. We carry out all deliveries ourselves however when not possibe a courier may be used. We try to bubble wrap most items at no extra cost. We also try to give a three hour time window so you dont have to stay in all day, any unforseen problems on the road, (so far we have never been late) you will be kept informed. 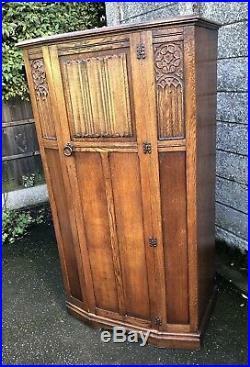 The item "FINE ARTS & CRAFTS CARVED OAK FITTED OAK HALL WARDROBE- 2 MAN DELIVERY AVAILABLE" is in sale since Monday, January 14, 2019. 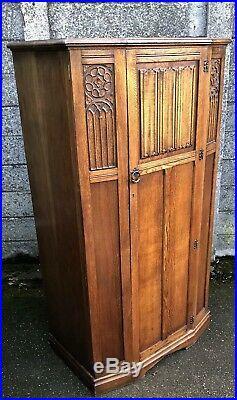 This item is in the category "Antiques\Antique Furniture\Armoires/Wardrobes\20th Century". 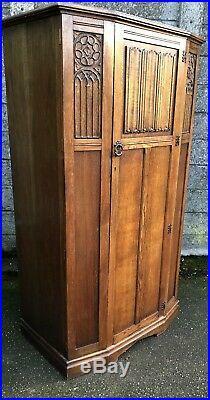 The seller is "dcrmax" and is located in Market Rasen, Lincolnshire.